During the earlier days, human beings survived majorly by hunting and gathering. Therefore, this trait has been passed down through generations and up to this day; we still hunt either for fun or food. Elk hunting is one of the most practiced types of hunting today, and its success normally depends on several factors. Some people like to use rifles for hunting while others prefer to use bows. Bow hunting is believed to be the most effective hunting technique as compared to a rifle due to its silent nature. To increase your chances, you will need the best bow hunting backpack to enable you to carry the necessary accessories to make your hunting easier. Below are some of the best bowhunting backpacks, and if you love to hunt elks, then this list will also help you choose the best hunting backpack for elk hunt. 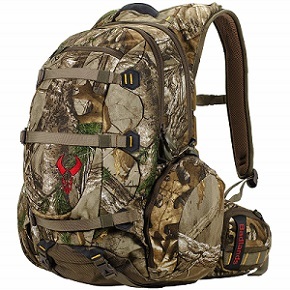 This backpack is ideally built with the hunter in mind as it features excellent comfort due to its well-padded waist and shoulder harness that is fitted in a way that will allow for a full range of motion. 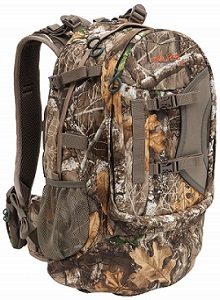 The ALPS OutdoorZ Hunting Backpack also features lashing straps and an aluminum frame that makes it possible and more comfortable for you to carry loads that might seem heavier. It is also fitted with a hydration pocket that will let you carry your water and ensure that you are always hydrated as you carry out your hunting. 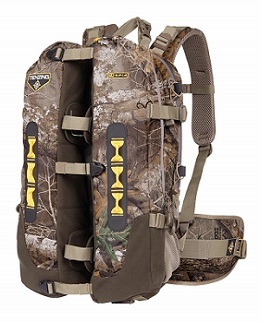 If you are basing your hunting on the mountain tops, areas that require great climbing or glassing fields, you don’t have to worry as this backpack has a dropdown weapon holder that is designed to hold your bow; hence helping to keep your hands free as you keep on moving and climbing. It has a D-ring clip that will let you hang it on a tree as you take a break. You also do not need to worry about the rainy moments because this bag has a rain cover that will help to ward off the water. This backpack weighs only 4 lbs making it easier to carry around, and it has a 2700 cubic inch capacity. It also has a dimension of 22 x 14 x 4 inches. It comes in two different colors: Mossy Oak Country and Realtree Edge. 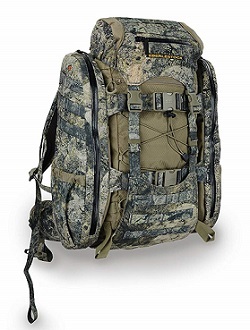 If you are looking for a hunting backpack that will fulfill your demands and provide you with the best service, then the Badlands 2200 camouflage hunting pack will not let you down in that regard. This backpack is best suited for elk hunting as it comes with an inbuilt meat hauler that is made of KXO-32 fabric that is known to be very strong, quiet and waterproof. It also features an array of pockets, compartments, and straps ensuring that you have enough space for your hunting tools. The inbuilt meat shelf will make it easier for you to carry your meat on your way back home after the hunt. You do not have to worry regarding the weight of the Meat Hauler as this backpack has an internal T-6 aircraft aluminum frame that will transfer the size load evenly down to your hips via the molded foam suspension making you comfortable. The neutral color pellet will help you to stay adapted to your surroundings. This bag weighs 5 lbs and has a measurement of 19 x 17 x 9 inches. It features 8 pockets and has a total volume of 2250 cubic inches that is usually more than enough for a day’s hunting. This backpack is made of Nylon Ripstop fabric that will ensure it lasts for a long time and it is best suited for use in some of the harshest weather environments. It is perfect for those people planning for an extended hunting trip due to the plenty of storage space it has. Despite the fact that you can load it from the top, it also features lower door access for convenience. It is attached to a frame that can be removed at any time so that it can be used as a stand-alone freighter frame. The ALPS OutdcorZ Commander also has a drop-down rifle holder that ensures hands-free and safe hauling of your rifle. Your spotting scope is also taken care of in the form of a spotting scope pocket. Due to its ability to carry heavy weights, it has shoulder straps and a padded waist belt to ensure that you stay comfortable while carrying it. This backpack is also fitted with a hydration pocket that will make it easier for you to stay hydrated throughout the hunt. The backpack has a total weight of 7 lbs, a dimension of 41 x 16 x 13 inches, and a volume of 5250 cubic inches. The Dark Timber is made with durability and comfort in mind. This bag features a large accessory pocket and main storage to maximize storage space and ensuring that your items are well organized. There is also another additional storage space located at the lower pocket. To ensure that you feel comfortable while carrying heavy loads. This backpack is fitted with side compression straps that help in bringing its weight closer to your body. If you have extra gear, this backpack will make it easier for you to lash it on to it due to the presence of bartacked webbing that has several attachment points. In addition to this, it also has mesh side pockets for holding extra gear and also used for storing your water bottle. All this space is enough to ensure that you bring along the essentials plus some more. The dark timber weighs 2 Ibs, has a dimension of 15 x 10 x 4 inches, and a total capacity of 2285 cubic inches. The Timberhawk Killshot Backpack is full of storage options, comfortable and roomy making it an ideal backpack for a day hunt. The backpack comes with a 2-liter hydration bladder with an insulated hose to make it easier for you to hydrate. It is made to ensure that there is quietness when walking through the woods due to its durable twill fabric lining. Its camouflage pattern makes it easy to blend in the bush and stay undetected. The Timber Hawk is expertly made in a way that it is small enough to navigate thick timber, and at the same time making it possible for you to carry all your essentials. This backpack ensures stability when carrying heavier loads due to the presence of sturdy compression straps. In fact, you are in a hurry to climb or run; the presence of the quick release clips will make it easier for you to drop it instantly. To ensure load stability, the raptor compression straps are used to shrink it to make it easier for you to move around. The Timberhawk kill shot weighs 7.6 Ibs. It also has a dimension of 12.5 x 22 x 12 inches, and a storage capacity of 3429 cubic inches. When it comes to bow hunting, you can always count on the Eberlstock X2 Hunting Backpack. It might look little for the outside eye, but this backpack is fitted with big pack features that make it very unique. It is fitted with oversized compression straps that can be used to lash on a heavy load. Since hydration is an important part of hunting, this backpack is equipped with dual hydration compartments to ensure that you carry enough drinking water with you. Another significant feature of this backpack is the presence of the Ample FlexChasis that will enable the lower end of the bag to flip forward and be used as a seat. To ensure that you maintain an upright position and walk easily while carrying your load, the Eberlsock X2 has an internal aluminum frame that will make it easy to carry heavy loads. Your bow can easily fit in its side scabbard that is also capable of accommodating a rifle. It also has padlock webbing tie-points in key locations that will make it easier for you to attach your accessories and lashing on gear. This backpack has a dimension of 15.5 x 11 x 3. inches, a weight of 4.4 Ibs, and a total volume of 1839 cubic inches. If you are looking for a perfect and highly efficient daypack for your hunting, then this is the right backpack for you. It is hydration compatible since it holds a two-liter water bladder safely and snugly that will help in keeping you hydrated while on the hunt. It’s ergonomically advanced molded foam suspension ensures that it is capable of matching every contour of the human form. 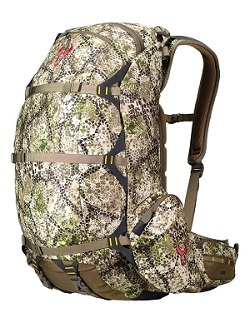 The Badlands Superday Camouflage Backpack is best suited for recurve bow due to the Approach camo pattern of its fabric. The RealTree Xtra camo feature uses twelve warm natural colors. This will enable it to blend into different environments whether it is winter, fall or early spring. It is made from KXO-32 fabric that makes it very strong, waterproof, and also very quiet. To secure that you transport lots of gear with ease this badlands’ backpack has load lifters that will make it easier for you in this regard. Another main advantage of the Badlands brand is that they have a lifetime warranty that ensures they fix it for free forever, no matter how it got damaged. This backpack measures 21 x 16 x 11 inches, weighs 3 Ibs, and has a total volume capacity of 1950 cubic inches. This backpack will help you pack everything you need before going out for your hunt and it also has some convenient pockets that will help you in focusing without any distraction. When it comes to versatility, this backpack is as versatile as they come. Be it a bow or a rifle you are carrying; it always has you covered. It also features an inbuilt pistol holder and five different compression straps that will enable you to attach other gear. To ensure that you stay hydrated, it also features two-liter hydration systems. This backpack will help in keeping your gear secure and organized through the presence of its interior compartments, external pockets, and compression straps. The approach camo feature of this backpack will ensure that you stay hidden when there is a change in light in your surroundings. With a lifetime warranty, you can maximize the capabilities of this backpack knowing that in case anything happens to it, you are assured that it will always be fixed free of charge. The Badlands Superday Hunting Backpack has a total weight of 3 Ibs, a dimension of 21 x 16 x 11 inches. Its total volume is 1950 cubic inches, and it has a total of six pockets. 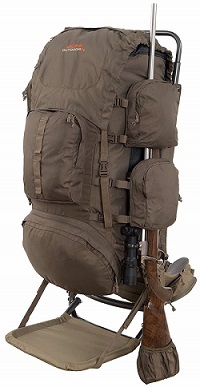 This is one of the best backpacks that have been designed to make your shooting much more comfortable. 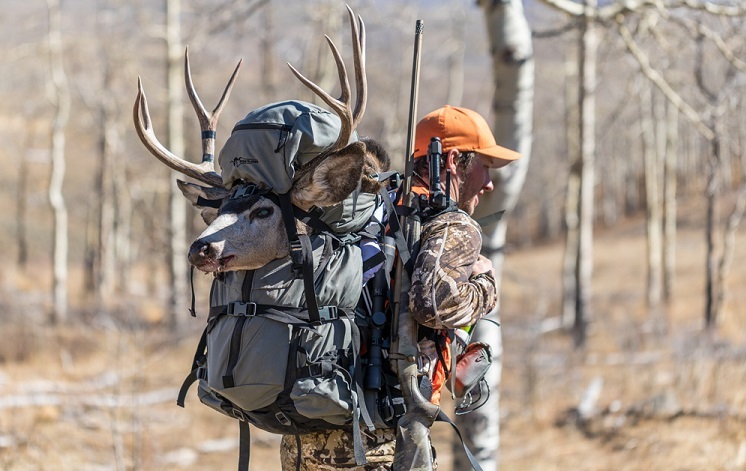 The Tenzing backpack is created in a way that makes it versatile and easier for you in your hunting. It is designed to securely hold a scoped rifle or a bow to make it easier for you to move or climb up and down. This backpack also has a self-contained shooting rest that will let you take aim and fire at your target without having to remove the gun from it. The crossbow hunters are also not left behind as it also can carry a crossbow. It is made in a way that ensures it optimizes the position of the limbs to help in minimizing snagging on the brush. This makes it easier for you to easily carry your crossbow which tends to be more cumbersome to take as compared to the compound bows. 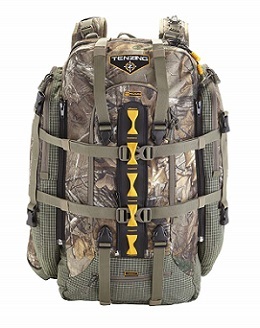 This Tenzing’s backpack also features exterior compression straps that make it possible for you to attach additional gear. It has a total of 9 compartments and has a weight of 7.5 pounds. Its total capacity is 1600 cubic inches with a length of 24″, a width of 15″, and a height of 7″. This backpack has a deceiving look that will make you think it has a smaller capacity, but in the real sense, it offers a much larger capacity than it looks. It features an adjustable torso suspension that makes it easier for anyone to carry it irrespective of their size comfortably. Also, to ensure comfortability while taking it, this Tenzing’s backpack has an internal aluminum frame that makes it easier to carry heavier loads. If you need some more carrying capacity, then you can achieve this through the expanding side compartments that will add about 300 cubic inches of carrying capacity. Since it is designed for hunting, it also has a central meat compartment that will ensure you comfortably carry your meat on your way back home. 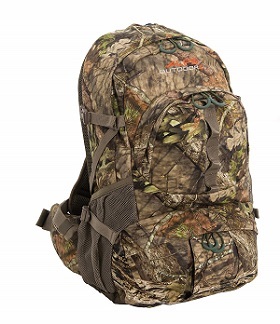 As your load gets more substantial, you won’t have to worry because this Back Country Hunting backpack has an internal aluminum frame that will make it easier and comfortable to carry a heavy load. The fold-out carrying boot lets you fit in your bow or gun making it easier for you to move. It has an entire volume of 4000 cubic inches and a total weight of 7 pounds. 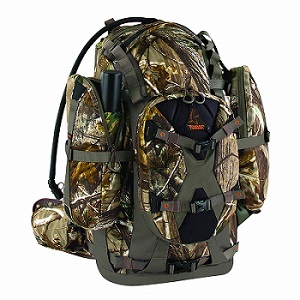 There are different factors and features that make a high-quality hunting backpack. Therefore, various people will have different features they prefer to have in their backpack. Below are some of the things you should look for when buying a hunting backpack. 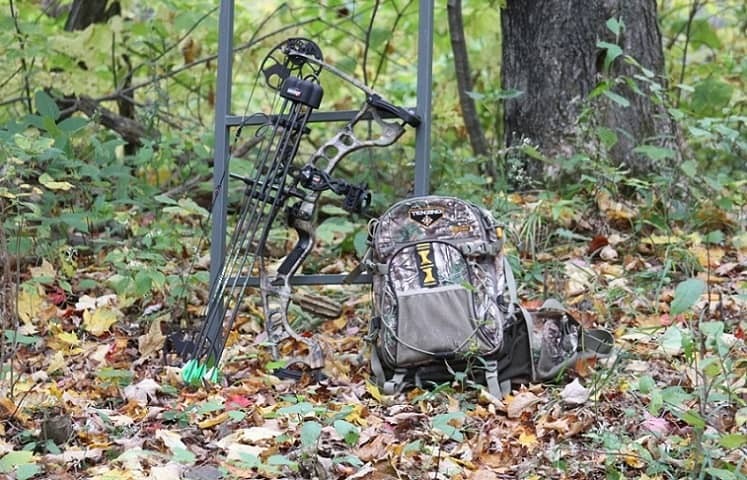 Quality is an essential factor when choosing the bow hunting backpack. Ensure that you take a good look at the backpack and avoid those with loose threads. The shoulder straps should also be in good condition. Check the zippers to ensure that they are working well. 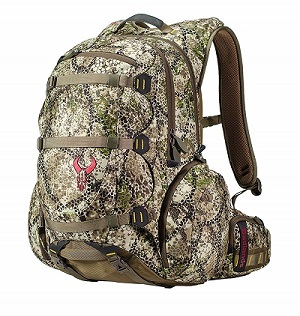 The best hunting backpacks should have camouflage patterns that will not make it easier for you to be spotted. Choose a shade that will fit in the surrounding you intend to go hunting. In most cases, a product that offers no warranty signals a sign of poor quality. Most hunting backpack manufacturers usually provide a lifetime warranty, and it is advisable to go for these since most of them are popular brands. To choose the best size for your backpack, you, first of all, have to know your primary type of hunting. If you are someone that goes for big game hunting like elk hunting, you should definitely go for a big backpack. Small game hunters can opt for small backpacks as a big backpack will tend to be wasted and also bulky. You also need to know other additional accessories or equipment you need for hunting. The more you need, the bigger the backpack should be. Q: Do all hunting backpacks have a waist belt? Ans: Not all of them have a waist belt. The waist belt is normally vital when you hunt big game and carry heavy equipment. This is because they can help in distributing the weight and also for storing other accessories in their zippers. Q: Can I use a regular backpack for hunting? Ans: Due to the unpredictability of the wilderness, hunting bags are made in a way that they can adapt to some situations that your regular backpacks won’t be able to. Because of this, it is always suggested to use hunting backpacks for the best hunting experience. Q: How often should I clean my hunting backpack? Ans: It is recommended that you clean it each time you pack out an animal. If not, ensure that it is cleaned after every hunting season and before the hunting starts. Different people have their own preferences when selecting the best bowhunting backpack depending on various factors. Therefore, it is a good idea to go through all the best types available in the market and find one that perfectly suits you. It is advisable to opt for reputable brands because most of them have a wide range of varieties and they can help you in choosing one that best suits your requirements. Always go for a backpack with adjustable straps and one that fits your torso length. This will help you be comfortable and stable when carrying it.